Ecumenism, or the Ecumenical Movement, represents a modern unity movement seen most prevalently among liberal Protestants, Roman Catholics, and the Eastern Orthodox. After over a millennium of various divisions, members of these churches determined that it was best to attempt a dialogue that would lead to reconciliation and full communion among its constituent members. Unlike other movements, ecumenism has not resulted in any new or different churches or ecclesiastical structures: the movement entirely consists of various member churches communicating and working with one another bilaterally, multilaterally, and within organizations like the World Council of Churches (WCC) and the National Council of Churches of Christ (NCCC)1. The primary goal of ecumenism is the attainment of full communion of the constituent separated churches within the movement and other ecclesiastical communities, manifest in shared events, collaboration in missions and other activities, and continued dialogue2. Ecumenism in the twentieth and now the twenty-first century is greatly responsible for overall attitudes espousing “unity-in-diversity” among different churches and the common appearance that all churches are essentially the same; it has popularized entirely new models of Christian worldview and perspective, recasting “the church” in more expansive terms than ever before. Ecumenism finds its origins first in the trans-denominational movements of the seventeenth and eighteenth century that led to the Evangelical movement (although, as noted below, many evangelicals are cool toward the ecumenical movement proper) and most directly in the missionary society movement in the nineteenth century. The close cooperation of many Protestant denominations in mission work compelled their members to consider their differences and work toward some kind of unity. The beginning of the ecumenical movement is normally reckoned with the 1910 World Missionary Conference in Edinburgh, Scotland3. Other aspects of the movement soon followed: in 1921, the International Missionary Council was established, followed by the World Conference on Faith and Order in 1927 (focusing on doctrinal differences); these all led to the establishment of the World Council of Churches (WCC) in 19484. These international developments were paralleled by national movements in many countries, including the United States, where the National Council of Churches of Christ began in 1950. The constituent members of these bodies have met consistently during their existence, and much discussion and dialogue has taken place regarding areas of agreement and disagreement among the various groups. While much of the action of ecumenism has taken place within the national and international ecumenical organizations, other efforts have been undertaken on the denominational level. Roman Catholics have engaged in dialogue with any branch of Christendom willing to converse with them; Lutherans and Anglicans, Anglicans and Eastern Orthodox, and many other such groups have engaged in much dialogue. In 1997, the Episcopal Church in the United States and the Evangelical Lutheran Church in America established full communion with one another, perhaps one of the greater displays of professed unity within the movement5. The conversations and joint participation in matters of agreement continue to this day. The founding members of ecumenism include many Wesleyan churches, primarily Methodists, along with Anglicans/Episcopalians and Lutherans. The Christian Church (Disciples of Christ), historic Calvinist churches (United Church of Christ, Presbyterian Church, Reformed churches), many Anabaptist groups, Pietists, some Quaker groups, and The Salvation Army represent Protestant groups also allied with the ecumenical movement. While the Roman Catholic Church was leery of the movement from 1919 through 1949, the church reversed itself, and beginning in 1961 fully participated in ecumenism6. Eastern Orthodoxy and many of the first millennium splinter groups (Church of the East, Syrian Orthodox Church, Coptic church) have also participated in the movement. Many groups aligned with the Evangelical movement (Baptists, some Holiness groups, and many Pentecostal groups) are suspicious of the liberal Protestant-based ecumenical movement and have little to do with the World Council of Churches and its attendant ecumenical dialogues. Such churches, however, practice their own brand of ecumenism among themselves, as discussed within Evangelicalism. Since ecumenism has not resulted in any new ecclesiastical structure or organization per se, it will be sufficient to consider the general considerations listed for its constituent denominational members. As we investigate ecumenism in greater detail, we must begin by recognizing that the overall goal of the ecumenical movement is quite noble and excellent: the unity of believers in Christ. Such is the desire of God for those who are indeed His people (1 Corinthians 1:10, Philippians 2:2, John 17:21). Unity of believers is certainly a goal worthy of consideration and diligence. While unity is a desirable goal, it is important that the unity is indeed the unity that God desires for His people, truly fulfilling the imagery of 1 Corinthians 12:12-28 and Ephesians 5:22-31. A form of unity that is not in accordance with God’s will as revealed in the Scriptures is not going to be pleasing to God! Therefore, it is of the greatest importance to consider the smaller goals and methodologies of ecumenism and to compare them with the Scriptures. One major concern with the methodology of the ecumenical movement is found in its evaluation of its constituent members. One requirement of anyone participating in the ecumenical movement is the confession that the “Church of Christ” is more inclusive than one’s own church; it is believed that the Holy Spirit has been working throughout history in each individual denomination and that denominations should learn from the developments in faith that can be found in their ecumenical partners7. These views presuppose that all the participants involved in ecumenism represent legitimate and divinely approved expressions of Christianity and that no individual constituent denomination truly manifests the entire truth found in the New Testament. But if I tarry long, that thou mayest know how men ought to behave themselves in the house of God, which is the church of the living God, the pillar and ground of the truth (1 Timothy 3:15) . Beloved, while I was giving all diligence to write unto you of our common salvation, I was constrained to write unto you exhorting you to contend earnestly for the faith which was once for all delivered unto the saints (Jude 1:3) . In both passages the author presupposes that the audience is part of a body that has the truth within itself based upon the revelation of God. 1 Timothy 3:15 may include a challenge for a church (that it will be the pillar and support of the truth), but the fact that Paul can even speak of such a possibility demonstrates that God expects that which is truly the “Church of Christ” will hold firm to the truth as delivered once for all. By participating in the ecumenical movement, the various members implicitly confess that they are not promoting the Gospel fully as intended by God in the New Testament and somehow expect that the truth will be established by consensus within the movement and its dialogue. Such an implicit admission casts doubt about the legitimacy of the movement and those who would comprise it. Ecumenism is also marked, even from its origin, by a desire to collaborate in social reform movements and mission work8. Indeed, ecumenism attempts to work on the basis of areas of agreement and moves toward areas of disagreement. This kind of methodology, while understandable considering the task that is being attempted, ought to give pause. As can be seen in The Church Treasury, I: Benevolence, The Church Treasury, II: Other Considerations, and Wesleyanism: The Church and Social Responsibility, church sponsorship of missionary societies, hospitals, centers of education, and the like are without Scriptural authority and that the function of the church is not to push for social reform per se but rather the promotion of the Gospel, the building up of itself in love (Ephesians 4:16). If all of these groups are individually acting outside of God’s authority for the church, can they truly collectively represent the pillar and support of the truth? Unity cannot be established on the basis of agreement on certain practices or in collaboration of given works; unity can only be established by the reality of the shared walk in the light of Jesus Christ, and through association with Him (1 John 1:5-7). If a given group or given persons do not have association with Christ, how can those who have association with Christ share in association with them? Such represents the primary concern with the secondary goals and methodologies of ecumenism. Ecumenism, by its own confession, represents a new and more sophisticated way of attempting to unify disparate parts of Christendom: previous attempts of restoring New Testament Christianity, unity movements, unitary endeavors by various denominations, etc., have been brushed aside in an attempt to foster unity through what is known as koinonia fellowship9. Koinonia is the Greek term for fellowship or association. Ecumenism has disavowed an “institutional merger” form of unity, which looks toward a day in which there is only one church with one structure with various congregations10. Since unity is not envisioned in terms of merger, it is viewed in terms of maintaining association with one another in various collaborative endeavors and dialogue11. It is Biblically rationalized by appealing to the example of the Jerusalem council of Acts 15:4-29, which is believed to represent this koinonia of disparate Christian elements12. The ecumenical perspective on interdenominational relationships is entirely a novel thing, diametrically opposed to the historical perspectives of many of the denominations involved. To rationalize and justify this perspective, ecumenism posits a different understanding of the nature of the “universal church”. The “universal church,” or the Church of Christ according to ecumenism, represents all believers in Christ in all of these denominations, with unity in the basis of faith and baptism, even if its members disagree in the particulars of said faith and baptism13. In this model, the different denominations are considered synonymous with the local churches of the New Testament: Corinth, say, would be like a Pentecostal denomination, while Rome might represent Roman Catholicism, and Philippi, Lutheranism. According to this way of thinking, just as these individual local churches were parts of the greater Church, so various denominations are parts of the greater Church14. This view attempts to find legitimacy by appealing to the diversity of theology, practice, and church organization in the New Testament15. Does the ecumenical movement accurately represent the church in the New Testament? There is no doubt that the New Testament reveals a variety of beliefs and practices within the various churches. The greater proportion of this variety, however, was not in concordance with God’s intentions for the church! For this cause left I thee in Crete, that thou shouldest set in order the things that were wanting, and appoint elders in every city, as I gave thee charge. Further directives regarding elders are found in 1 Timothy 3:1-8, Titus 1:6-7, and 1 Peter 5:1-4; elders are present in Jerusalem, Philippi, and Ephesus (Acts 11:30, Philippians 1:1, Acts 20:17-38). No other system of governance is divinely approved in the New Testament; the lack of mentioning of elders in other congregations is likely an indication that not enough men were qualified for the task of the eldership rather than an intentionally different system of governance. I marvel that ye are so quickly removing from him that called you in the grace of Christ unto a different gospel; which is not another gospel: only there are some that trouble you, and would pervert the gospel of Christ. But though we, or an angel from heaven, should preach unto you any gospel other than that which we preached unto you, let him be anathema. As we have said before, so say I now again, If any man preacheth unto you any gospel other than that which ye received, let him be anathema. For this cause have I sent unto you Timothy, who is my beloved and faithful child in the Lord, who shall put you in remembrance of my ways which be in Christ, even as I teach everywhere in every church. These verses indicate that within the churches of the New Testament there was the expectation that the same Gospel and message would be promoted and taught in all the churches. A Christian could travel to Rome or Ephesus or Antioch and hear the same message being taught. If a different message were being taught, such was considered an anathema, an accursed thing! One cannot go to a Roman Catholic church, a Lutheran church, and a Presbyterian church and expect to hear the same Gospel being taught, for the different groups believe vastly different things regarding many of the matters of the faith. Acts 15:4-29 and Romans 14:1-15:3 represent the cornerstones of the ecumenical position, but the texts do not reflect the current position of the ecumenical movement. Yes, Acts 15:4-29 represents a council meeting to decide in a dispute regarding circumcision, yet it was hosted by the “source congregation” of the problem, came to a consensus view based upon a mutual understanding of the prophecies of Scripture and recent events, sealed by the Holy Spirit, and was to be considered normative for all the churches. The council did not presuppose the legitimacy of both viewpoints, nor is it assumed that those of the “Judaizing” party actually represent legitimate brethren in Christ (cf. Galatians 2:4). Indeed, those promoting the “Judaizing” view are declared as anathema by Paul in Galatians 1:6-9! Romans 14:1-15:3 represents a text attempting to resolve contention regarding matters of no consequence to God that threatened to divide the church in Rome. The expected conclusion was not that different churches should exist, but that the brethren should maintain association with one another, remain a unified church, and not place any stumbling block in the way of each other. Sacrifices were to be made to establish true, concrete unity; it is not a symbolic event that involves limited participation while the groups involved remain separate entities. What shall we say to these things? The New Testament reveals that there is but one church (Ephesians 4:4-5) and that the living members of this church, ideally, also constitute local bodies of believers accountable to one another and who assemble to build each other up (Hebrews 10:24-25, 1 Peter 5:1-4). These believers are to be united in the same mind and judgment, believing in the same Gospel and teaching the same things in every church (1 Corinthians 4:7, Galatians 1:6-9, 1 Corinthians 1:10, 1 John 1:6-7). Deviation from this norm is not acceptable or rightly tolerated. The ecumenical perspective on the universal church is unfounded in Scripture. Perhaps the hallmark of the ecumenical movement is represented by the concept of “unity-in-diversity”. While the ultimate goal of ecumenism is the unity of all its members in all matters of faith and doctrine, it is highly unlikely that such will be realized. Instead, a diversity of theological traditions is seen as acceptable, the various constituent members can work together despite significant disagreement in various matters of faith and practice, and toleration for what is perceived as the “diverse gifts of the Spirit” is mandated16. The appeal is made that this unity is possible because of agreement on the “essential” matters–the Trinitarian nature of God, the Chalcedonian understanding of Jesus, practicing many of the same practices, and the like–and that many of the matters of disagreement are “non-essential” matters that ought to be left for liberty17. Does this reflect the expectations of God in the New Testament? We should note that there is an expectation of some level of diversity within the church. Racial, ethnic, cultural, and national diversity is assumed (Galatians 3:28, Colossians 3:11, Revelation 7:9). Differences among the individual members in terms of experiences and talents is also expected (1 Corinthians 12:12-28). There are indeed matters of liberty in the Scriptures, matters of “food and drink,” which may allow for divergent practices in some instances (Romans 14:17). If the matters involved with the ecumenical movement reflected matters of “food and drink,” we would have no basis of disagreement with their view of “unity-in-diversity.” The ecumenical view of “unity-in-diversity,” by necessity, does not correlate with what is presented in Romans 14:1-15:3, for the matters of disagreement among the various bodies involves matters of far greater consequences than mere “food and drink.” Differences among the various groups include, but are not limited to: infant baptism versus adult baptism; baptism as sprinkling, pouring, or immersion; the function of baptism; the nature of the elements of the Lord’s Supper; bishopric, presbytery, or congregational church organization; the legitimacy or lack thereof of the papacy in Rome; understanding of the roles of the Scriptures and tradition; the role of Petrine authority; the status of homosexuals before God; Calvinist foreordination versus Arminian free will; etc. Who, honestly, can consider these matters of “food and drink” and not matters of “righteousness, peace, and joy in the Holy Spirit” (Romans 14:17)? When we recognize that one who taught that one should be circumcised was accursed (Galatians 1:6-9); that one who adhered to worldly philosophy violated God’s will (Colossians 2:8); and that those who presented stumbling blocks contrary to what was presented to the Christians were to be marked and avoided (Romans 16:16-17, 2 Thessalonians 3:16-17); and then we consider the grave matters of disagreement listed above, how can we say that we can maintain association despite such vast differences in belief and practice? Such represents the heart of the matter of ecumenism: the boundaries of koinoinia or association. Ecumenicalists would claim that any exclusive attitudes are sinful and inherently divisive; nevertheless, what do the Scriptures indicate about the limits of association? And this is the message which we have heard from him, and announce unto you, that God is light, and in him is no darkness at all. If we say that we have fellowship with him, and walk in the darkness, we lie, and do not the truth: but if we walk in the light, as he is in the light, we have fellowship one with another, and the blood of Jesus his Son cleanseth us from all sin. We can see clearly that association is to be based in a shared walk with the Lord; one can only walk with the Lord when one does His commandments and walks in the ways that He walked (1 John 2:3-6). Those who do not walk in this way walk in darkness, and there is no ability to have association with such persons. If God commands that those who are His obedient servants will be immersed in water for the remission of their sins (Acts 2:38, Romans 6:3-7); live by obedient faith (Romans 1:5. James 2:14-26); assemble with fellow Christians in a local congregation (Hebrews 10:24-25, Philippians 1:1); walking by the Spirit and not by the flesh (Galatians 5:17-24); and preaching the one true Gospel (Romans 1:16-17, Galatians 1:6-9); and there are persons who profess Christ but do not do some or all such things, on what basis can there be association? Are all those who profess Christ saved? Not according to Matthew 7:21-23. The matter of proper association is a difficult matter; God is the ultimate Judge, and He is the only One who truly knows who is His (James 4:12). Nevertheless, Christians are called upon to test the spirits and judge those who are within (1 Corinthians 5, 1 John 4:1). We will be held liable for the decisions we make with our association, whether it be too broad or too restrictive. If our association is too broad, we may give the false impression of a shared walk with the Lord, and disobedience to divine commands (cf. Romans 16:16-17). If our association is too restricted, we will not be building up as we should (Hebrews 10:24-25). While this is the case, the ecumenical compromise is not Biblically tenable. While there can be toleration of some forms of diversity, the New Testament makes it clear that the Gospel and righteousness, joy, and peace in the Holy Spirit are not up for compromise (Galatians 1:6-9, Romans 14:17). The association of Christians is expected to be meaningful, involving joint participation in matters of the faith, not symbolic gestures with separate structures remaining underneath. If there is therefore any comfort in Christ, if any consolation of love, if any fellowship of the Spirit, if any tender mercies and compassions, fulfill ye my joy, that ye be of the same mind, having the same love, being of one accord, of one mind. Joint participation/association is a delusion if there is no substantive agreement and unity among those who work together. We cannot find this unity in the midst of a movement attempting to reconcile denominations with centuries of traditional baggage; we can only find this unity by returning to the standard of faith and practice as embodied in the New Testament, the basis of our shared faith and judgment. Unity is a noble desire, yet the truth in Christ should never be sacrificed for the sake of superficial unity (Galatians 1:6-9, 1 Timothy 3:15)! 1: Jeffrey Gros et al, Introduction to Ecumenism, 12-13, 22, 135. 2: ibid., 38, 53-54, 87. 8: ibid., 87, 109, 136. 16: ibid., 67, 124, 244-245. It is for this reason it has been a sad,and sorrowful strugge to find my brothers,sisters and mothers amongst the 200 million professed christians in the US. So much diversity and as far as those whom i have come across none wanted to unote in mind and heart on sound doctrines.apart from the one i have baptized recently thier have been no others i have come across as of yet. And ryan whom accepted christ will be observed aswell through his progress of evidence of regeneration. I have studied on this quite a bit, since it’s inception puzzled me. ( My denomination does not participate. ). Why? Because for the sake of ” unity ” these folks either compromise Biblical teachings, or misinterpret them. The unity discussed in John 17 and some other places in Scripture is a spiritual unity of true believers in Christ. ( It is not a physical unity. ). See John F. MacArthur at http://www.gty.org for more on this. 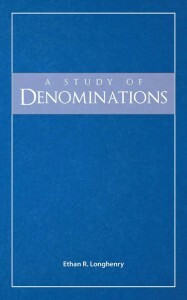 As much this genre preaches unity,most of the denominations miss the whole and intended gist due to hypocrisy in churches and desire for material gain.Earlier on,the Ecumenism movements would flourish greatly but currently the latter has pursued the movement.Christian denominations should review their flaws and make critically examined ammendments as a tool of propagating and achieving its intended goal of UNITY.